Despite being surrounded by oceans and beaches, Cape Town isn’t the kind of place you go to lie down. 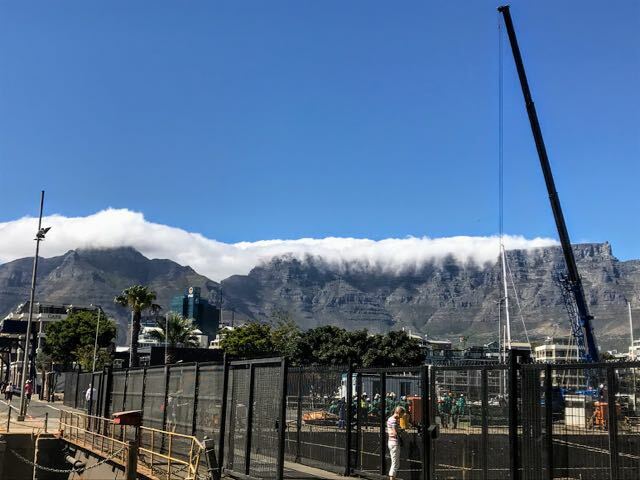 Immediately, you’re drawn inward towards the towering vision of Table Mountain. East, the vines pull you into the thick of Stellenbosch. Even South, down towards the water, the penguins at Boulders Beach live playfully, still keeping you away from the water’s edge. And that’s before you get to tales of long ago explorers, stories that litter the coastline as prolifically as the shipwrecks they’ve long left behind. Of course, dipping your feet in the Atlantic can also be fun, especially if you’re keen to get nose to nose with a shark. The point is: Cape Town is one of those towns that will run you ragged from touchdown to take off. And you’ll quickly feel hard pushed to cram it all in. The good news is: it’s possible to cram it all in, under the expert guidance of local tour guides and companies. Sure, you can DIY most of the activities in Cape Town but if you spend half your day researching, plotting routes on Google Maps and finding parking spots, you’ll only have half the time to explore. Not a position you want to be in when there’s so much to do. 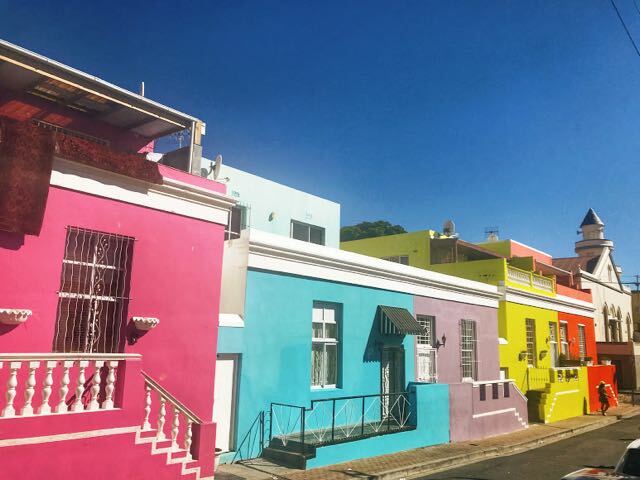 Bonus: taking tours in Cape Town will address many of the safety concerns you might have about exploring this beautiful yet oftentimes infamous city. In short, if you’re looking for the most effective, efficient and stress free way of seeing as many of the city’s sights as you can pack in, by taking tours in Cape Town all you have to do is pack your bag. Here are my 10 best Cape Town tours. And some of them are even free. 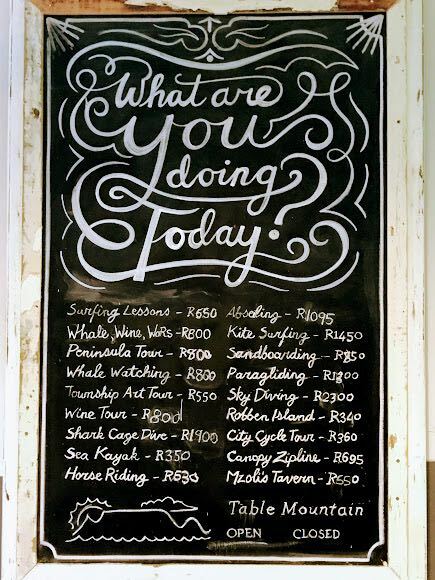 Every visitor will have their own list of priorities when it comes to seeing the sights of Cape Town. Wine was pretty high up my list. However, I’ve tried to give a suggested order of priority to the Cape Town tours below. Sometimes this is because some sights are more popular and harder to book. Other times it’s because I think it’s good to get the lay of the land before you explore. 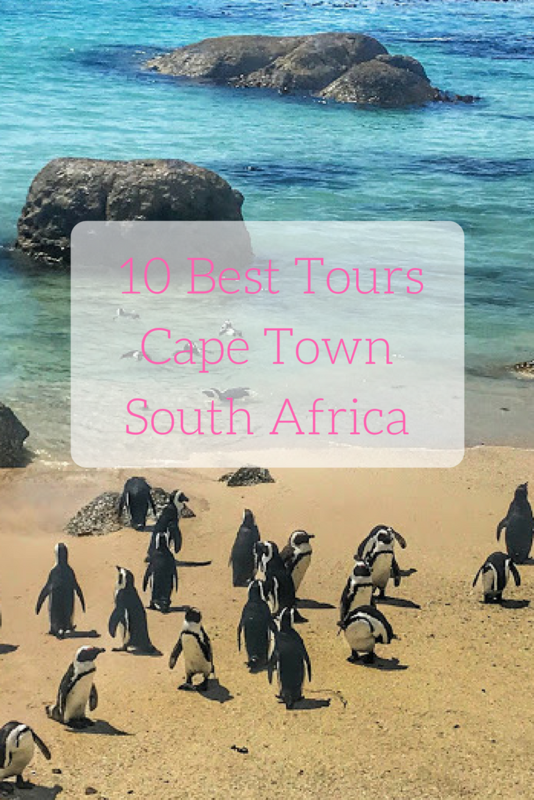 Also, if you only have a few days in Cape Town, you may not be able to fit all of these Cape Town tours into your stay so you might want to start at the top and work your way through the list as far as you can get. You’d have to walk around Cape Town with your eyes closed not to see Table Mountain. However, the real prize is found when you ascend to the top of this 1,065 metre high plateau. The challenge is visiting Table Mountain when it’s open whilst also trying to avoid the crowds. I left my visit a little late and nearly didn’t get to go up the mountain at all. Unless you’re planning on hiking up (I wasn’t thanks to knee surgery), your trip is in the hands of the cable car, which closes frequently courtesy of the almost adorably named tablecloth – a sheet of clouds that regularly descends over the mountain and causes the cable car to close. Therefore, if you want to go up the mountain by cable car, make this your priority every morning until you’ve ticked it off your list. Make Table Mountain your priority each morning. The official website has details on whether the cable car is open and the visibility at the top of the mountain. 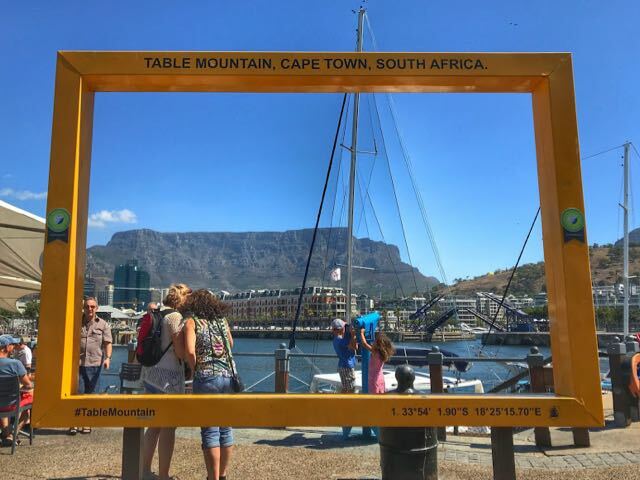 You should definitely book cable car tickets in advance to avoid the long queues at Table Mountain. There is no extra fee for booking online. You can book tickets to use the cable car here. If you want to ascend Table Mountain by foot, here’s a great guide to hiking up Table Mountain by yourself. There are free guided tours at the top of Table Mountain. They happen once every hour between 9 a.m. and 3 p.m. and you can find more details here. Alternatively, you can book a private guided tour with a company like AWOL Tours which will take you on a hike up the mountain instead of using the cable car. If you’re not aware, Robben Island is Cape Town’s equivalent of Alcatraz – a prison island located just off the coast of the city. It’s most famous as the location where Nelson Mandela was incarcerated during apartheid. Today, Robben Island is a UNESCO world Heritage site and a popular visitor’s spot. The thing with Alcatraz, and, as I found out, Robben Island, you need to be pretty organised to get tickets. As I don’t tend to fall into that organised camp too often, I missed out. Personally, I wasn’t too fussed. 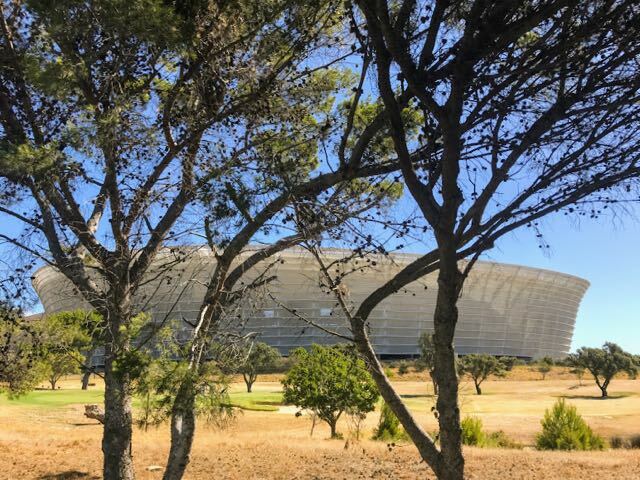 However, I’ve put this sight near the top of the list of best tours in Cape Town because, if you do want to see it, you need to make it a priority. Make sure you book tickets in advance. There are three time slots available – 9 a.m., 11 a.m. and 1 p.m. you can book tickets on the official website here. The official tour will probably be enough for most people – it includes a guided tour of the prison, a bus tour of the island and your return ferry. 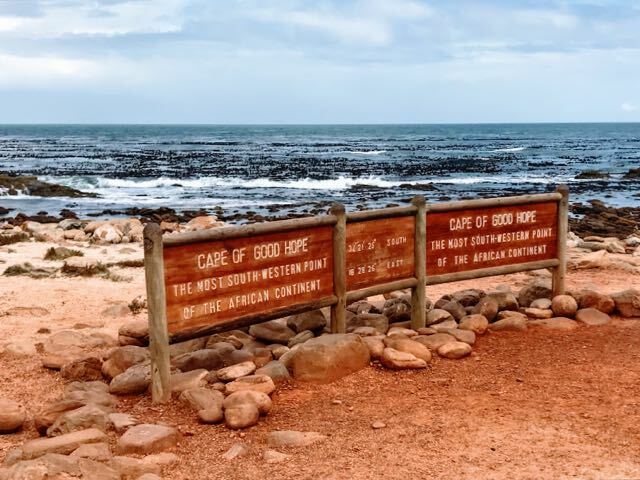 However, if you’re looking for a combination tour where you can explore Robben Island as well as a more general tour of Cape Town, here are a few options. Advantage: you may be able to get tickets for Robben Island through these tours when the main website is sold out. What about a township tour? Most people don’t give a second thought to the ethical aspects of taking a township tour. However, slum tourism can be detrimental to the local communities. At the least, I’d recommend doing your research before taking a township tour. You can read more on my post about the 10 best tourist activities in Johannesburg. The city sightseeing tour bus for Cape Town is one of the best ways to explore the city when you first arrive. 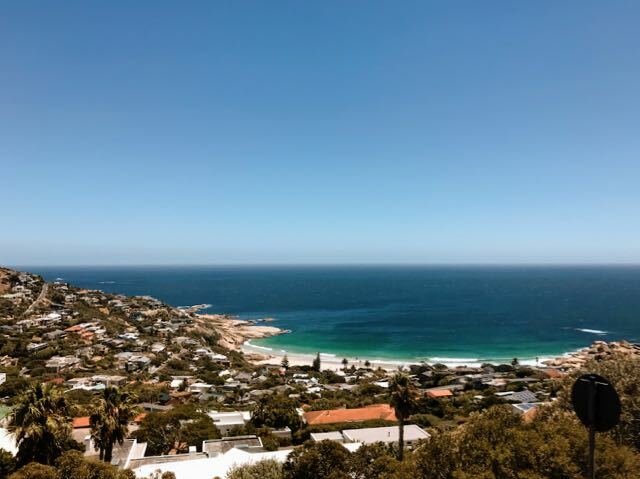 Not only does it cover a huge distance, including a mini tour of the peninsula, it hits up the city’s main attractions including Table Mountain, Kirstenbosch botanical gardens, the V&A waterfront, Hout Bay, and even part of the vineyards. With four routes to choose from, the Cape Town city sightseeing tour bus is definitely one of the best value ways to explore. I opted for the classic, cheapest ticket and quickly regretted it. For not much more, I could have taken the ticket over more days and included a sunset bus tour. Every ticket also includes a free downtown walking tour – another reason to take the ticket over a couple of days. You can check out the routes and book your tickets on the official Cape Town city sightseeing tour website here. The routes are too expansive to do them all in one day so take the ticket over multiple days if you want to explore more than one of the bus routes. Pack sunscreen if you want to take to the top deck. Cape Town is both very sunny and very windy and you’ll frazzle under the deception of the breeze. Sir Francis Drake once wrote, “This cape is the most stately thing and the fairest cape we saw in the whole circumference of the earth.” It was 1580 but I believe his statement still holds true. 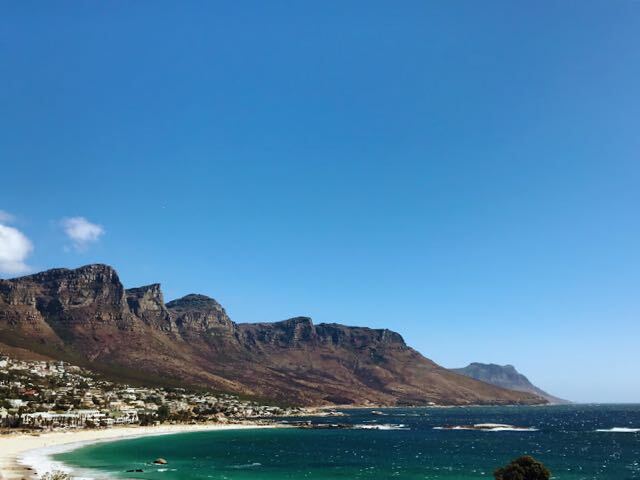 Leave the city centre and you’ll see that much of the beauty of Cape Town is located along its peninsula and no matter how short a trip you have, this should be one of your must do tours in Cape Town. If you have a car and want to go it alone, this is one of the easiest day trips to take alone. Just make sure you hit all of the highlights (list below). There are lots of competing tour companies so, if you do book a tour, make sure you find one that has good reviews, fits the length of time you want/have to explore and is a good fit for your travel style (couples/solo travellers/age/fitness level etc). TripAdvisor is great for this because you can filter the results by reviews from similar travellers. Budget travellers – do your maths because most tours include entrance fees and lunch as well as transport. If you’re short on time, some tours combine a Cape Town tour with a peninsula tour. Others include a spot of wine tasting. The City Sightseeing tour bus says you can do a mini cape tour as part of it’s standard ticket but it does not extend to Cape Point and the Cape of Good Hope, which is a real highlight, in my view. Simon’s Town for Boulder’s Beach where you’ll find the penguins (fee to enter). Tip: grab an ice cream from The Magic Window just outside the entrance to Boulder’s Beach. After being regularly spoilt on Italian gelato, I’m a harsh judge of ice creams and this was divine. Cape Point and Cape of Good Hope. 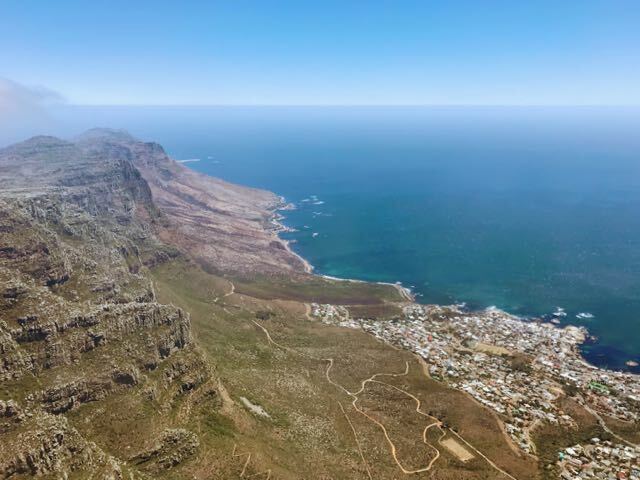 Both are peaks at the tip of the peninsula and are contained in the Cape Point Nature Reserve (fee to enter). There are hiking opportunities in the reserve. The lighthouse (which has a funicular if you don’t want to hike) and the coastal walk are popular. I took the latter and would recommend it. “Most South-Western Point of the African Continent” sign – if you’re into ‘been there, done that’ pictures, you’ll find this in Cape Point. But be prepared to queue for your photo. I struggled to get a picture without anyone in it, let alone with me in it. 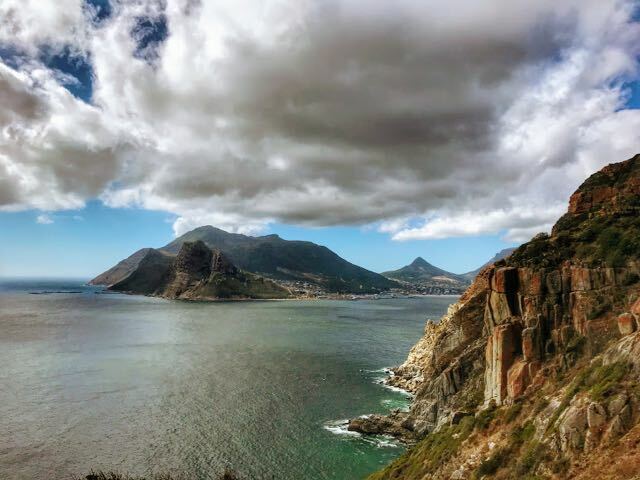 Chapman’s Peak drive (toll road) – a glorious coastal drive between Noordhoek and Hout Bay. Although it’s only 9 km, the route skirts the coastline and includes 114 curves and, for me, it was up there with the Road to Hana in Hawaii in terms of it’s wow-ness. Note: the road is subject to closure so check before you go. Cape Peninsula Tour from Cape Town – 5-star reviews. City Sightseeing Cape Pensinsula Tour – love the bus company? Trust them with your Cape Peninsula tour. Lucky & Lost Cape Peninsula Tour – great for budget travelers, includes a wine tasting. This is the tour I took. If you’ve been rushing round on back to back Cape Town tours, it’s about time you sat back, relaxed and had a long sip of wine. To be honest, South African wine is far from my favourite and outside South Africa you’d never see me ordering this at a restaurant, wine bar or picking a bottle up from a wine seller. 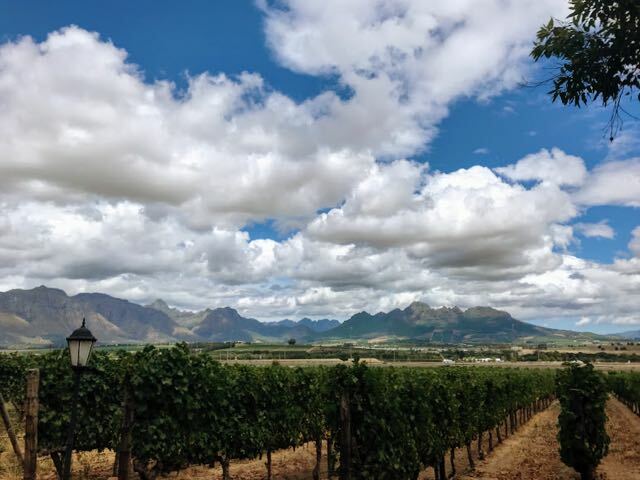 However, going wine tasting in the Stellenbosch region of Cape Town was one of the highlights of my trip to South Africa. Mainly because I can’t think of a more fun way to spend a day than meeting new people, exploring local vineyards, and, paring locally produced wine with locally produced food. There are multiple ways to visit Cape Town’s wine region and I’ve set out more details below. I’d always recommend going on a tour when it comes to wine tasting. You’ll usually discover offbeat vineyards and you won’t have to worry about transport. Have a solid breakfast and pack nibbles like peanuts or crackers. Most wine tours will have you sipping before lunch. Not sure whether to visit Stellenbosch or Franschhoek? I visited the former, mainly because it was easier to get tours from Cape Town and it was closer. This article gives a good summary of the pros and cons of each. Of course, if you have time and are into South African wine (or just any old wine), why not visit both? 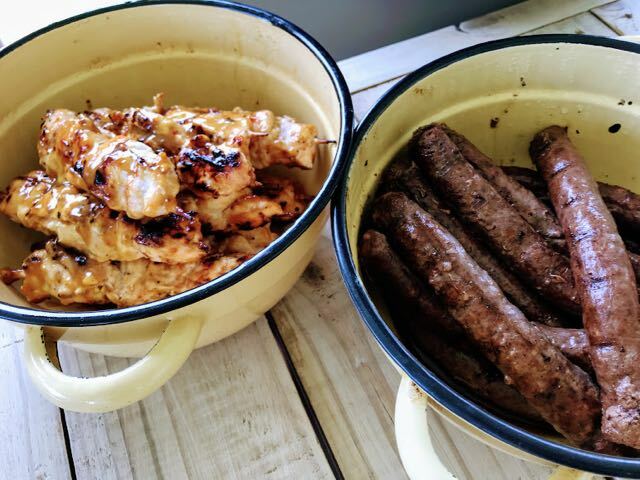 Most tours usually include a Braii for lunch, a typical South African barbecue. So, don’t forget to notify your tour guide in advance if you don’t eat meat. 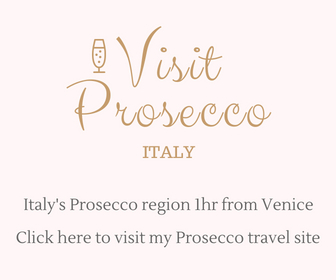 Take a guided tour – tastings, lunch, transport and collection/drop off at your hotel are usually included. This is my preferred way of exploring any wine region. See below for tour company ideas. 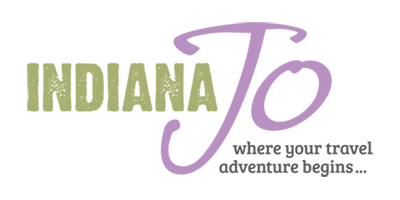 Vine Hopper – if you prefer self-guided tour without having to drive, use Vine Hopper, a hop-on hop-off that runs three routes through Stellenbosch. Wine tasting fees are not included. Stay at one of the vineyards that has rooms – this will give you an immersive experience but you won’t see as many vineyards (unless you combine it with a tour/the Vine Hopper). Self-drive – only if you have a designated driver or want to see the vineyards without drinking wine. By Uber/minivan – You can get to Stellenbosch without a car by using Uber or one of the minivans that run to the area (it’s about 45 minutes away by car). You can then use Vine Hopper to get around. The city train – this runs from Cape Town to Stellenbosch. However, I was advised more than once not to take the train because of the risk of being robbed (ticket barriers don’t exist further down the track and as passengers thin out, you could find yourself in a carriage with an opportunist), so this is only for the real budget travellers who are comfortable with risk. Wine Tasting in Cape Town – you’ll find a good selection of highly rated wine tours that you can book in advance on Get Your Guide. Vine Hopper – perfect if you want to visit vineyards at your own pace. 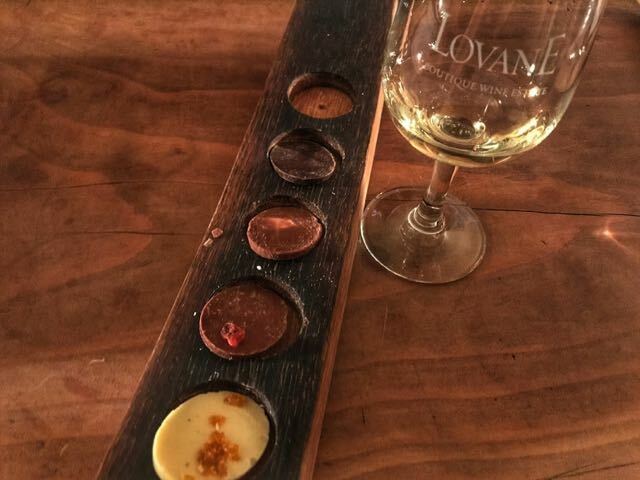 Wine Flies – this is the tour I took and as well as visiting smaller vineyards, the wine and cheese/chocolate pairings were divine. Note: expect a younger crowd as this tour is often sold through hostels. So called because it’s thought to resemble a crouching lion (which I struggled to see, tbh), Lion’s head is a peak wedged between Table Mountain and Signal Hill. And, at 669 metres (2,195 ft), it’s got climb me written all over it. Whether you want to undo some of the bad work done on a wine tour or stretch your legs above the city, Lion’s head is an achievable challenge. Risk of robbery – yep, that old Cape Town chestnut. The sad reality is that the trail can be quiet making tourists obvious and easy targets. The weather can change at a moment’s notice – do you know what to do if you get stuck on a mountain side under a shroud of cloud? The trail path isn’t as clearly marked as you might like. The trail can be a challenge in the dark – most people climb at sunrise of sunset to avoid the heat of the day. In both cases, you’ll do part of the hike without full light. There is some detail here if you want to go it alone (though at least try to go in a pair or small group). If you really want to get under the skin of a country, get to grips with its food. But don’t just put your trust in random restaurant selections, no matter how well reviewed. Let a local show you round and you’ll really come to understand Cape Town’s food scene. Here are some that look the tastiest. Special occasion? Got some cash to burn? Simply never been in a helicopter and want to tick it off your bucket list? What better place to take a helicopter tour than over Cape Town? Sadly, this wasn’t in my travel budget so I can’t give you a personal recommendation but there are certainly plenty of companies running helicopter tours in Cape Town. You’ll find a selection of helicopter tours with different durations and price here. I’d go for the oceans scenic tour if it were me. A trip to Kirstenbosch Botanical gardens is a wonderful antidote to all the rushing around you might do on other tours. Take time to smell the roses (literally) while surrounded by the dramatic mountainous backdrop. Sadly it wasn’t flower season when I visited so I spent a lot of time looking at various shades of green but that didn’t detract from the peace of the gardens. I focused more time in the scented gardens and explored the tree canopy walk. The Cape Town City Sightseeing bus stops at the gardens, which is great if you have a ticket. Otherwise Uber is another cheap transport option if you don’t have your own car. Although there is an entrance fee to enter the gardens, there are free guided tours that happen at 10 a.m., 11 a.m. and 2 p.m. (times differ at the weekend). You can find details here. I’d highly recommend a guided tour – as well as being able to distinguish one plant/flower from another, it’s great to hear the history of the gardens which dates back centuries. Check out the events page. 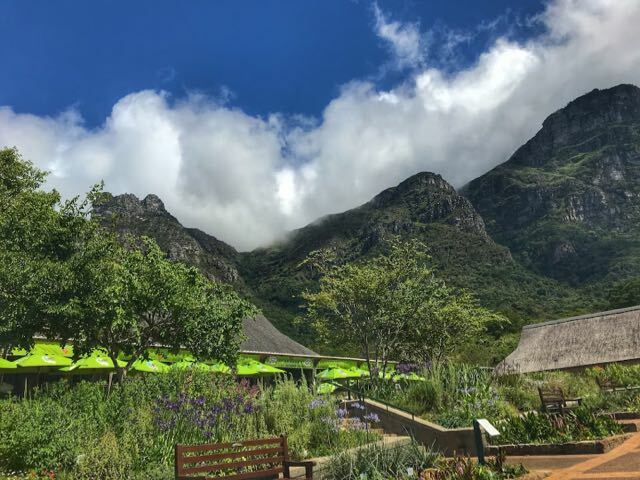 Kirstenbosch is used as an outdoor event space and during the summer is a concert venue – pack a picnic and a bottle of local wine and you’ve added an unexpected highlight to your trip.You can find the events here. I love a free walking tour and not just because it’s free. Usually crammed with fun facts as well as historical information, most free walking tours are led by locals with a huge passion for their city. Yes, you’re encouraged to tip (and I’d recommend even the smallest amount if you go on a tour) but otherwise there is often no better and cheaper way to explore a city. Cape Grace would be my choice if money were no object. 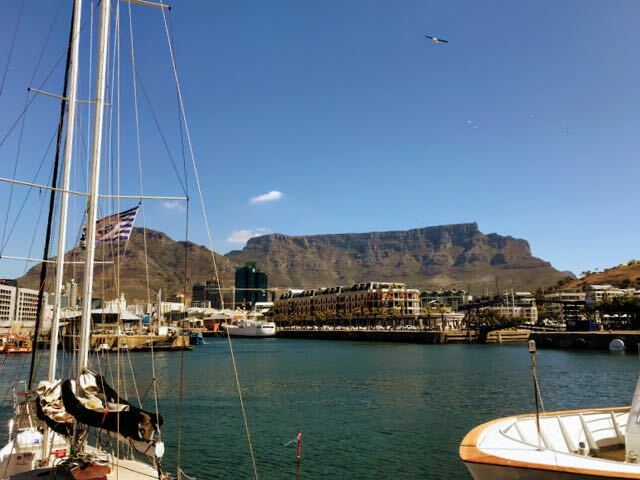 Located in the beautiful V&A Waterfront with marina AND Table Mountain views, as well as a top-notch location, Cape Grace is as graceful as its name suggests. The Glenn – boutique luxury that won’t crush your budget, there’s a reason The Glenn gets five star reviews on TripAdvisor. The B.I.G – if you’re on a budget, this hostel has dorms as well as very swish private rooms. Great for tour bookings and local tips and with a safe location close to the V&A Waterfront. Tip: I’d recommend avoiding accommodation on Long Street. Every ‘I got robbed’ story I heard about Cape Town happened when tourists were leaving their hostel or hotel around Long Street. If you do stay there, take an Uber from door to door or carry a fake wallet to hand over. I visited Long Street more than once but I did the door to door Uber thing and had no trouble. 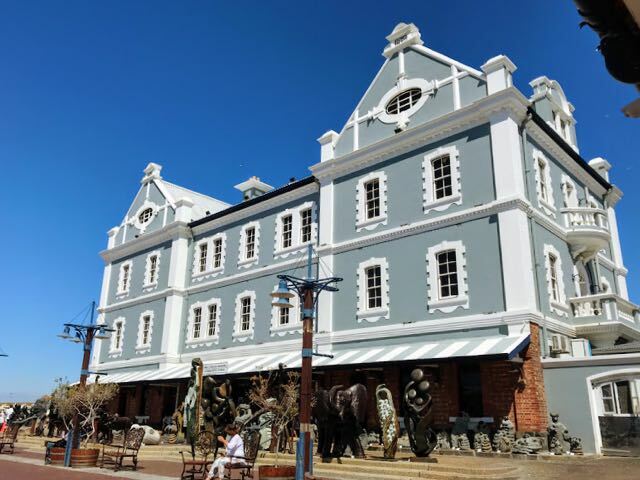 If you’re looking for a historic or heritage hotel (like the Belmont), check out this list of historic hotels in Cape Town. 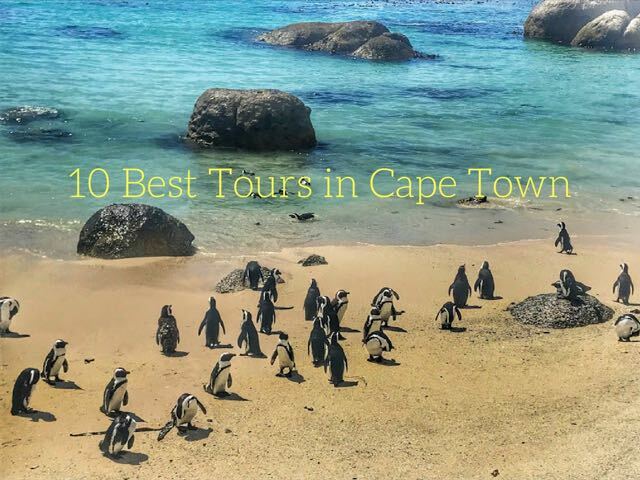 And that’s my list of the 10 best tours in Cape Town. Are you planning a trip soon? Got any questions? Let me know in the comments below. Hi myself and my husband are planning a trip to cape town early next year is it safe for us to go on our own or would we be better booking an orgainzed trip.